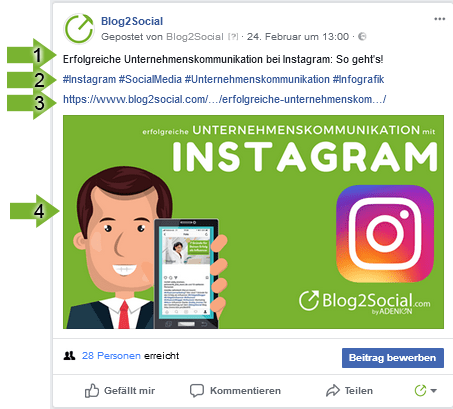 The social networks Twitter, Facebook and Google+ offer you to choose between two basic post formats to present your content: Image Post and Link post. This gives you the opportunity to determine the focus of your social media post. The image post format sets the focus on your image. If you click on the image, the image will enlarge. When using Blog2Social, your link is inserted as a clickable link below your text. The images you send to your social media posts in image post format will be automatically uploaded to the image gallery aka photo album and so they stay visible and accessible on your profile when your post has long since vanished in the continuous flow of social media updates. 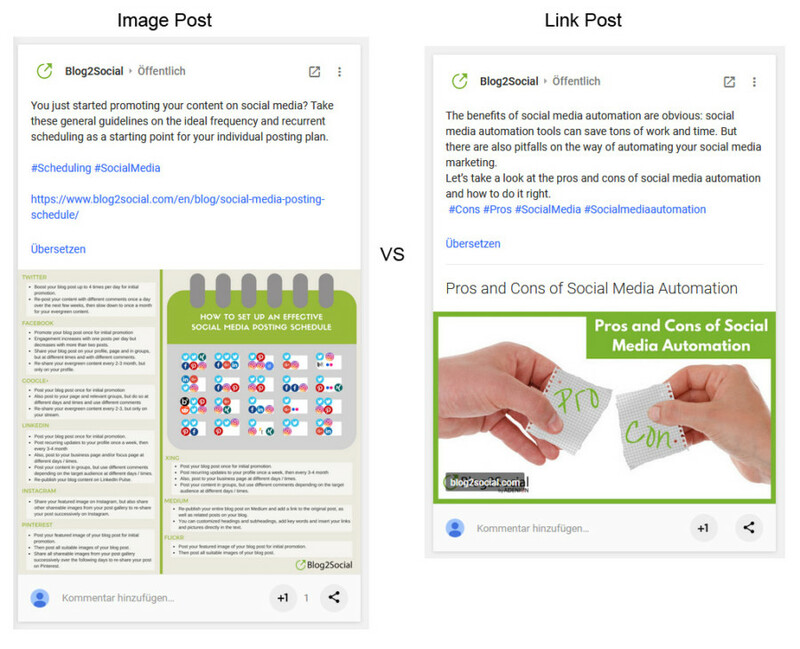 The link post format sets the focus on your link and blog content. A link preview is automatically generated by the network with the information pulled from your blog posts’ social meta tags. 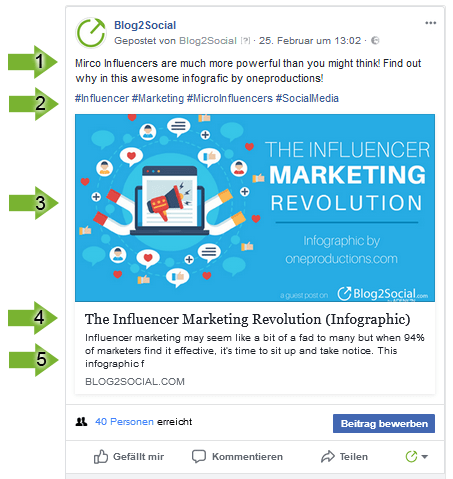 Use this Social Media post format to draw your readers directly into your blog, on your website or into your webshop post by giving them a sneak peak of your content. Clicking on your image or link preview will take them directly to your blog post. 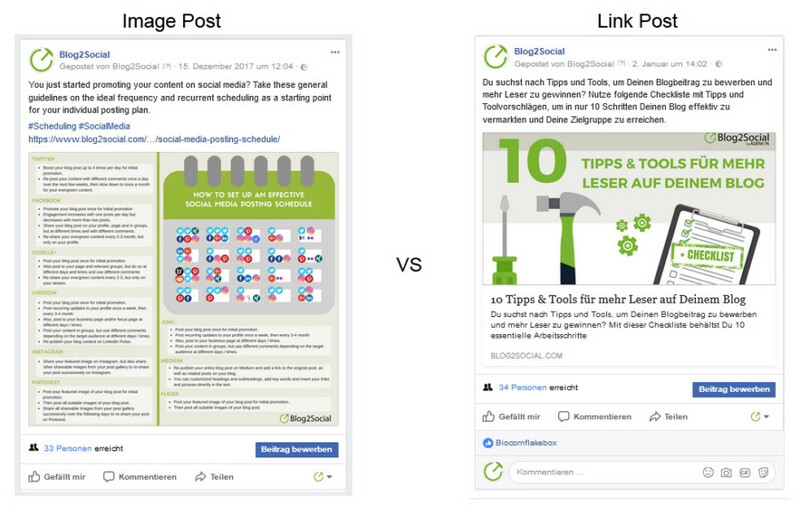 There are two ways to choose and define the best post format for your social media posts. 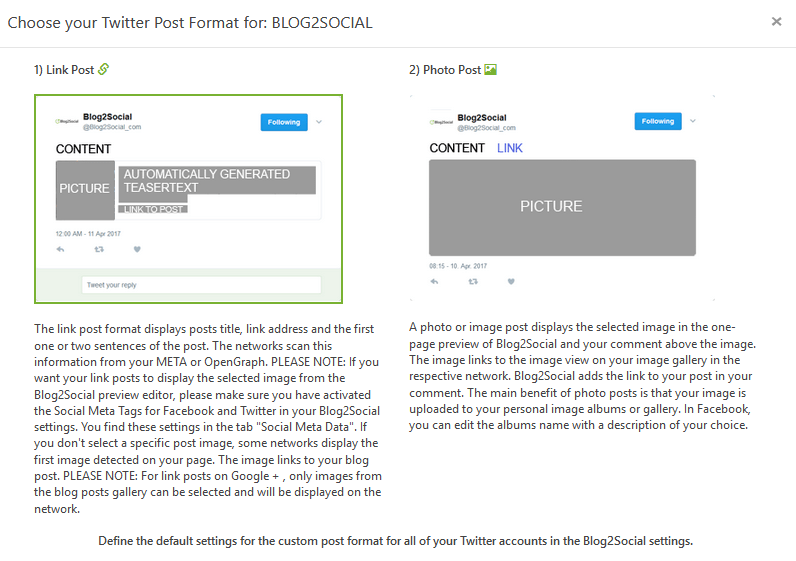 To change the post format on the Blog2Social editor go to “Blog2Social -> Posts & Sharing -> Share on Social Media”. Click on “post format” on the upper right side of the respective network’s editor field to change the post format. You will get a pop up window to select your post format.